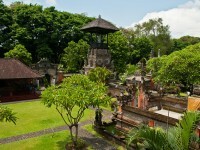 Bali is a magically place that is very famous among tourists. 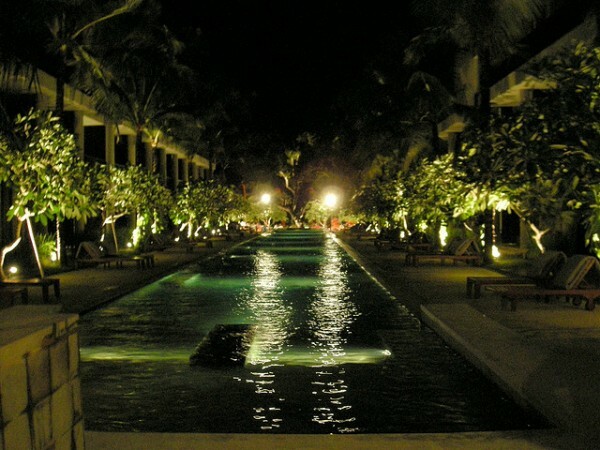 It has gorgeous resorts and a relaxed atmosphere. 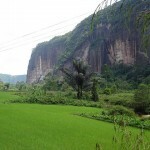 There are many beautiful cities in Bali, as well as charming villages and magnificent natural areas. For example the Sangeh forests ten acres of nutmeg trees are laud of the monkeys’ voice. The forest is considered to be sacred, it is forbidden to cut any tree. Two churches are staying in the middle of the forest and a third one at the periphery. Because the monkeys live in a saint forest they are also considered to be special and even they are quite harmless, it is not advisable to play with them. 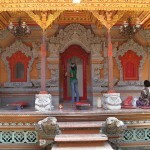 Denpasar is the capital city of Bali and has many communal temples, which are called Pura. The Pura Jagatnatha is the temple of the supreme god, Sang Hyang Vidi Wasa. The statues of a tortoise and the two dragons can be found in every other temple and symbolizes the foundation of the world. The Pura Jaganatha Museum offers its visitors a beautiful and diverse prehistoric and modern art material. The building reminds of a Palace. The Sanggraha Kriya Hasta is under government supervision and offers a rich selection of works of art and craft products. The Werdi Budaya Art Center organizes a performing art festival every year in June or July, that is accompanied by exhibitions and art competitions. The art center also teaches traditional performing arts such as music or dance. 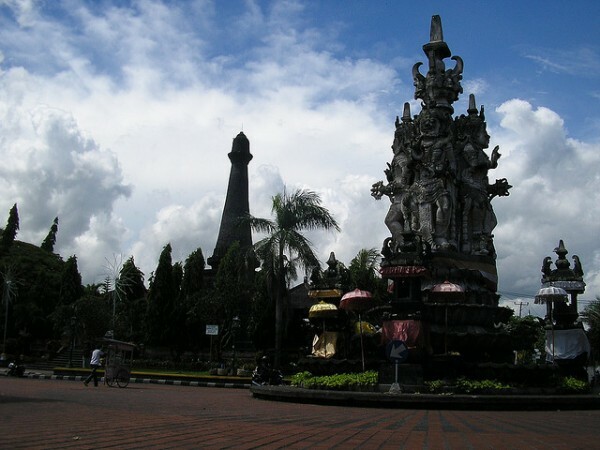 Klungkung is one of the most famous cities in Bali, as it was the center of the Javanese Hindu kingdom in Bali. The Balinese royal families originate from there. The building of the Kerta Gosa (Royal Court) was built in the 18th century and is famous for its traditional wayang style ceiling painted with pictures that presents the varieties of the infernal punishments and heaven rewards. The water pavilion, the garden and the pools overgrown with lotus between the walls of this building structure remind us of the former glory of the Klungkung kingdom. 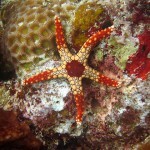 Benoa is an important city and the main port of Bali, at 6 kilometers from Denpasar to the south. Satisfies both national and international sea travel needs. The port is an important starting point for most of the cruise trips (Bali Hai Cruises, Bounty Cruises, Mabu, Wakalouko and others) towards the eastern islands, and often hosts international yacht races as well. 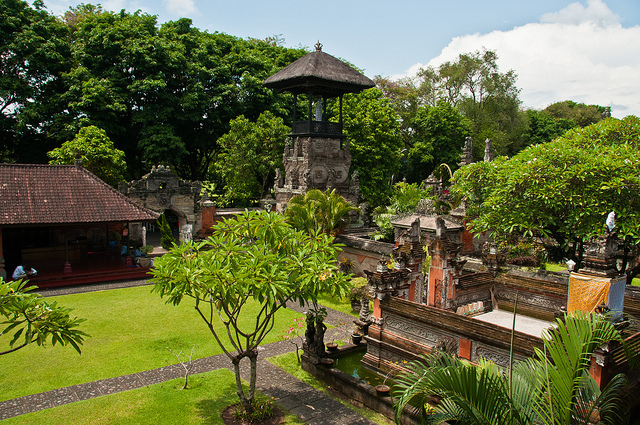 Ubud is the center of Balinese painting. In the Museum in Ubud, the Puri Lukisan is a permanent exhibition with the works of the modern Balinese art of the end of the 19th century and the beginning of the 20th century until today. Besides the many art galleries you can also visit the homes of famous artists like the house of the Dutch Hans Snel and the American Antonio Blanco. Ubud has a pleasantly cool air and lies at the foothills, near terraced rice fields where small hotels and pensions await the tourists.